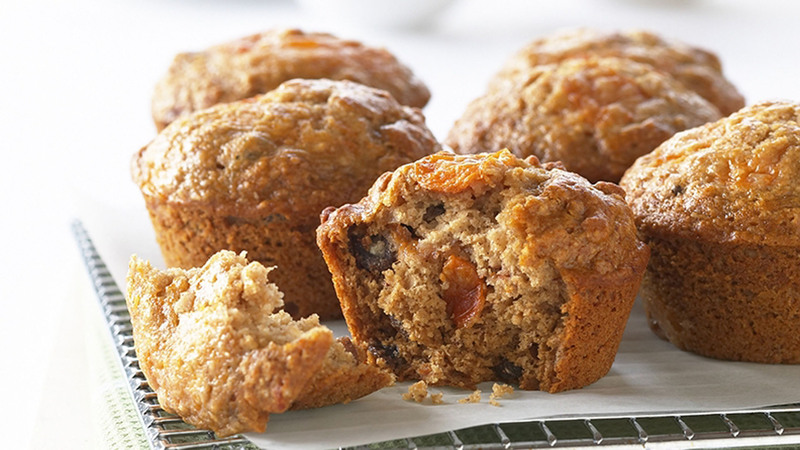 Get a fruity fix with these scrumptious muffins, full of the sweetness of persimmons. 1. Preheat the oven to 180 C. Grease a 12-hole (1/2 cup capacity) muffin pan. 2. In a large mixing bowl, combine all dry ingredients. In a small bowl combine all wet ingredients. 3. Add wet ingredients to dry ingredients then gently fold together until just combined. Be careful not to overmix as this will create a tough muffin. 4. Spoon the mix into muffin pan, bake for 15-18 mins or until the tops bounce back. Serve warm or cooled. Recipe courtesy of Persimmons Australia.